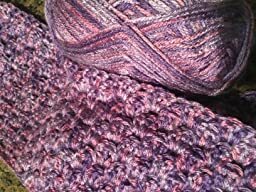 I’m using many skeins for a throw blanket. 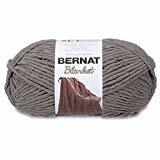 It’s the most attractive solid brown yarn I’ve seen, and its softness is superb for an acrylic. That’s why the frequent splitting and fuzzy effect is all the more disappointing. I had some starting hiccups with this project and had to undo the first row a few times. Well, you can certainly tell. The work in that section looks somewhat bedraggled – it doesn’t forgive mistakes. I find that when I switch over to this yarn, I’m crocheting tighter than I am accustomed to doing just to avoid that look. 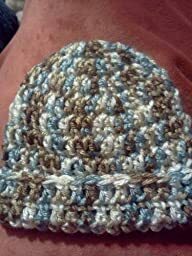 (The other product I’m using is Hobby Lobby’s I Love This Yarn. No splitting!) I’m too far in to bail out now, but I don’t think I’ll want to work again with this pretty but frustrating yarn for any large project. This yarn in plummy is so pretty! It’s so soft. I just wish it came in a bigger skein. 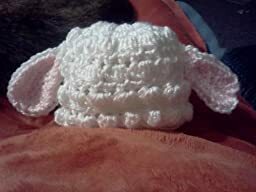 I crochet newborn hats to donate to local hospitals and this yarn made very soft hats. The weight of the yarn is perfect for the hospital because it is warm enough for the little one’s heads without being bulky or thick. Works out to be an amazing color too! The yarn had no snags, knots, or frays in the 2 balls that I purchased.